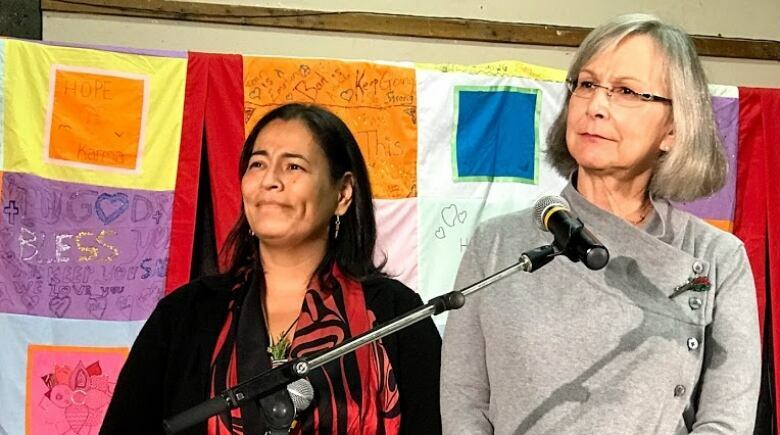 Participants and witnesses at the missing and murdered Indigenous women and girls inquiry hearings in Smithers, B.C., had practical recommendations for how to prevent future tragedy along the province's so-called Highway of Tears. "We're going to watch you." 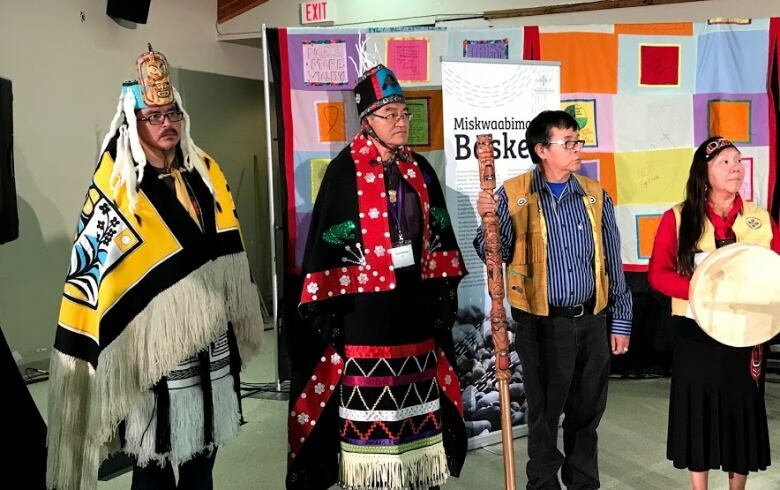 That message was delivered to the national inquiry into missing and murdered Indigenous women and girls by Wet'suwet'en hereditary chief Namoks (John Ridsdale) on the third and final day of community hearings in Smithers, B.C., on Thursday. MMIWG commissioners Michèle Audette and Marion Buller listen to a message from Wet'suwet'en hereditary chiefs. "We don't want you to make a report, put it away and dust it off when it comes handy for you to use," he said. "We're not letting you off easy, because we were not let off easy." 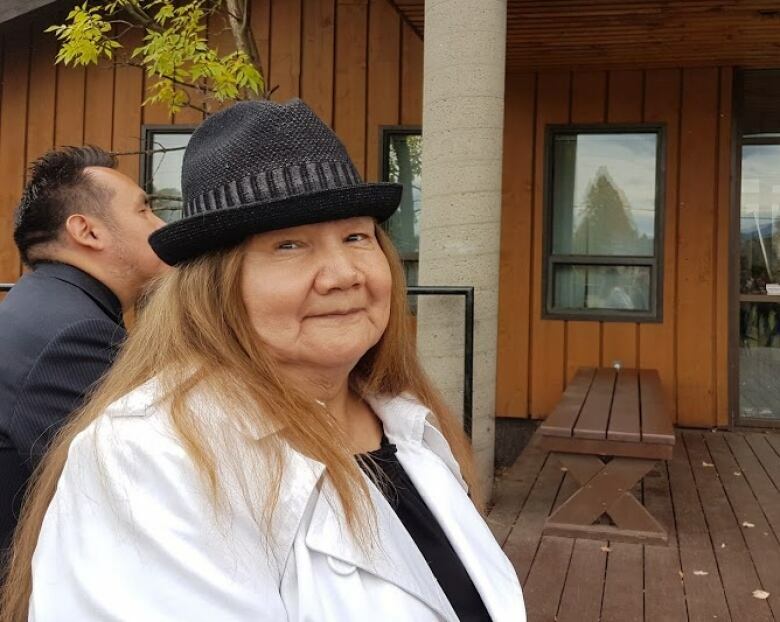 Chief commissioner Marion Buller summarized what the inquiry had heard about the personal impacts of the disproportionate rate of violence against Indigenous women and girls. "We've heard of tremendous losses to generations of families," she said. "We have also heard of the often invisible yet very real damage caused by verbal, emotional, sexual and physical abuse. "You shine the light on the darkness of racism, sexism and indifference. And you lead us in your work"
Here are some of the recommendations the commission heard, in the words of participants and witnesses who took part in the hearings. Shari Murdock delivered testimony about her mother, who disappeared from Vancouver's Downtown Eastside in 1997 and whose DNA was later found on serial killer Robert Pickton's farm. Murdock credited her grandmother for keeping her out of trouble in the years afterwards. "I could have easily been in that lifestyle," Murdock said, referring to the addiction she's seen among some of her peers., particularly as the fentanyl crisis worsens. Today the 26-year-old works in group homes, and sees the need to support at-risk youth after they age out of the child-care system. "When they're 19 they get kicked out of wherever they're living... and they don't know how to function," she said. "A lot of the time it leads to the streets, and that leads to addiction and that leads to prostitution." Murdock said she hoped by sharing her story as a young person she could help educate other young people why the inquiry was needed. 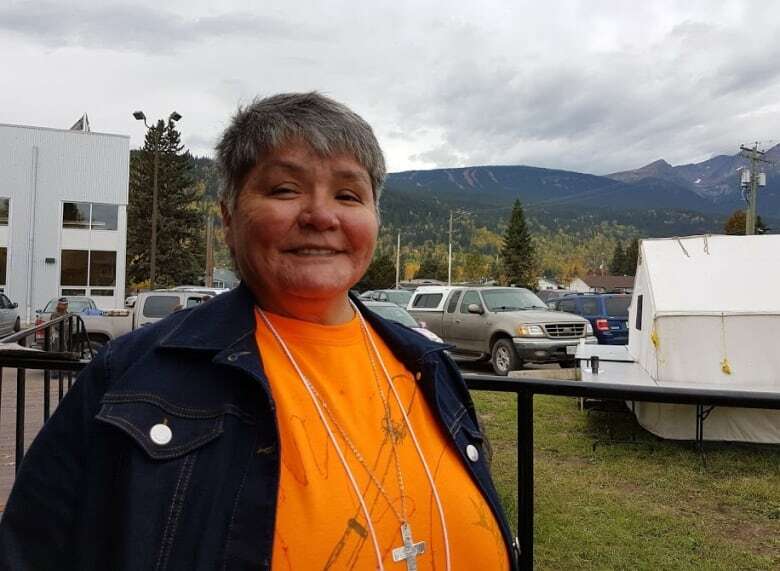 Her message resonated with students from the local Bulkley Valley Christian high school who took time to witness Murdock's testimony. "It felt so real listening to her story," said Josephina Kindrat. 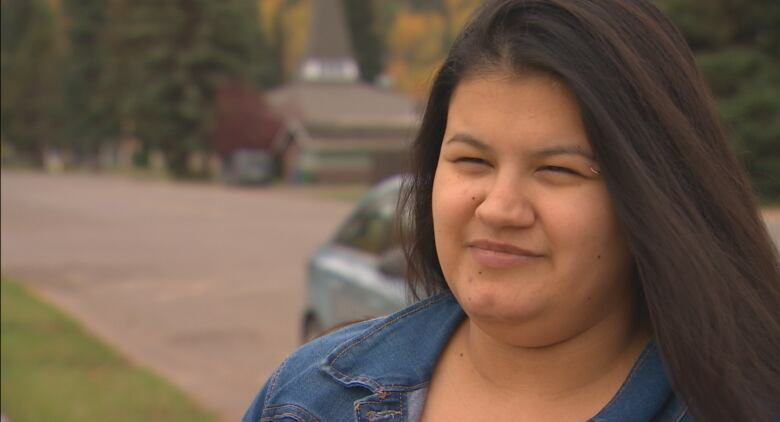 "The message that I get a lot from some people is that [Indigenous people] are just doing this for attention a lot of the time, and to get free money," she said. "It's not for attention at all. It's just to let you know where they're coming from." Lucy Smith (Smokgilthjim) lost both her sister and niece to violence. She said in both cases, she felt intimidated and confused when working with police. "We didn't know what kind of questions to ask," she said. "People aren't educated as far as police protocol. "We don't know what to expect, what's expected of us. We feel like we don't have the right to ask questions, because we're scared we're going to get in trouble." 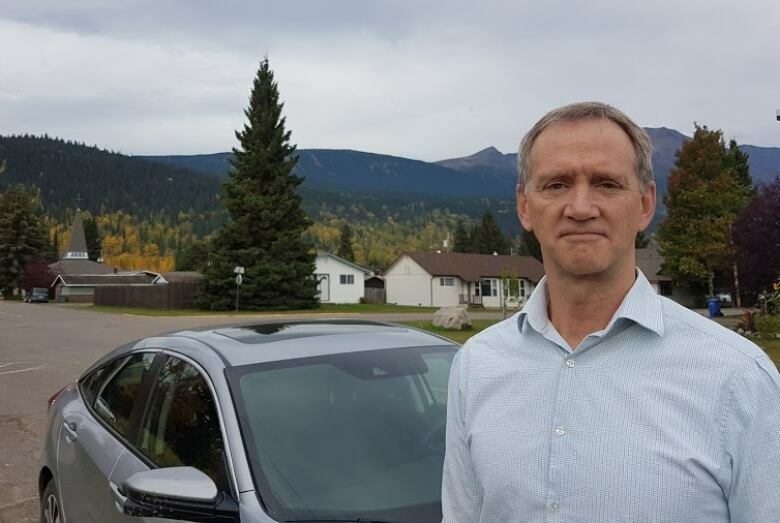 Wayne Cleary of the RCMP's project E-PANA — a task force that investigates disappearances and deaths of women with connections to three highways in northern B.C — was in Smithers to connect with families like Smith's who had questions about their cases. He also said he'd received some information that he would be passing on to investigators, and acknowledged imperfections in past policing. "Excellence in policing is a process, not an event," he said. "We're here to help." 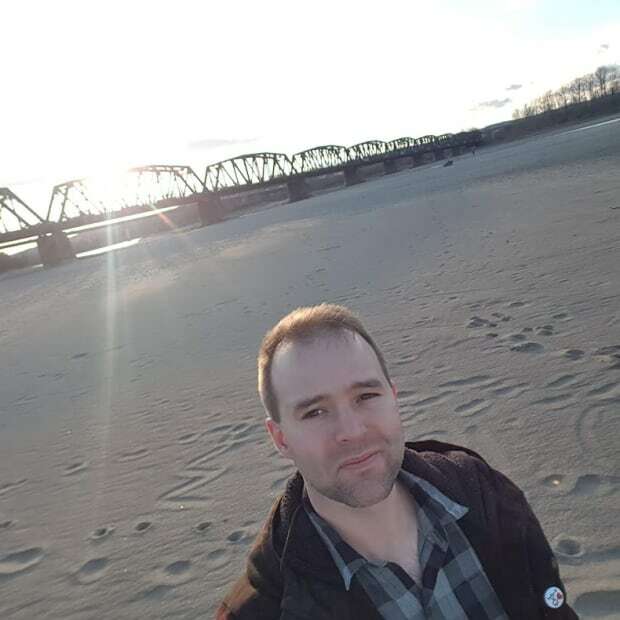 A frequent theme was the need for safe transit along Highway 16 between Prince George and Prince Rupert. 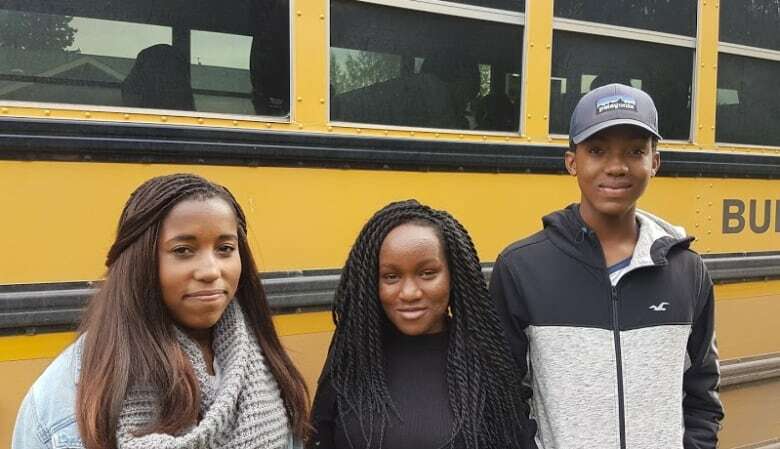 Though some transit service has been put into place it only connects some communities, and there is concern over news Greyhound plans to pull out of the region. 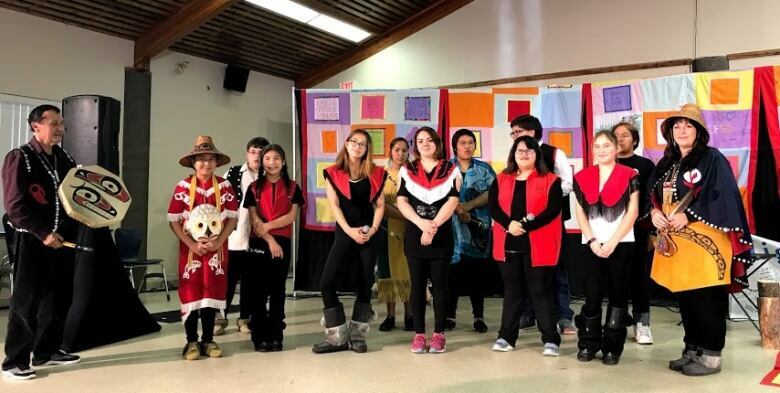 Transit was the focus of testimony delivered by students from Kitsumkalum who performed a song they'd written about the so-called Highway of Tears and spoke to the commissioners afterwards. Melynee McDames spoke about losing two family members on the highway, and the fear she felt when her sisters hitchhiked. 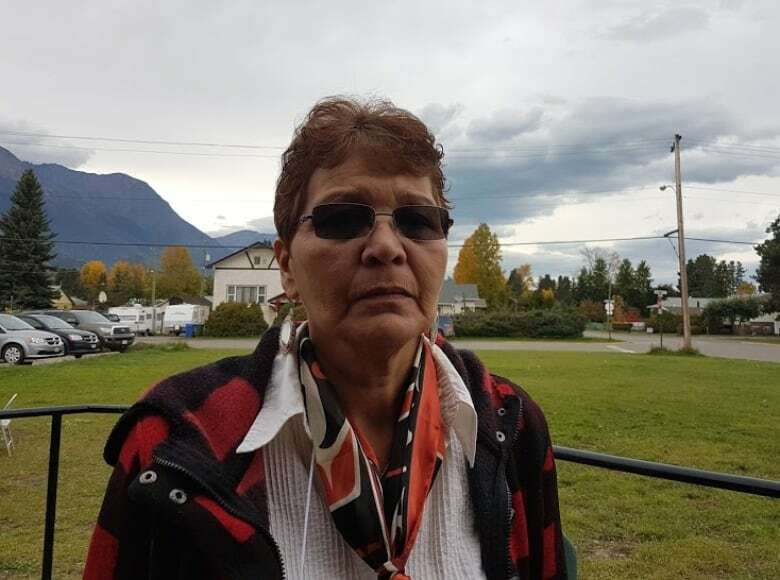 "Knowing that you have a loved one being transported by a stranger on a highway, let alone the Highway of Tears, is quite scary. "Our government has been talking about getting transportation along this Highway of Tears for years now, and it has still not happened. A simple bus going from one town to the next could easily solve this issue." Margie Humchitt drove to the hearings with a group of women from the Downtown Eastside Women's Centre. "What I'd like to change is society," she said. "Society has to see. Society has to listen." She said she encounters everyday racism in acts as simple as greeting strangers in the city. "They step back.... They see me as native person — strike one: native," she said. "Because I'm saying 'Hi,' to you the next question I might be asking is 'Do you have a dollar, do you have a quarter?' That's stigmatization." Florence Naziel of Moricetown said she felt more hopeful as the hearings wrapped than she did before they began. "It's comforting to know that more people are aware of what's going on," she said, adding she was pleased the inquiry managed to hear the stories of so many people. "After this week, things are going to change." Commissioner Michèle Audette said it was not yet time to talk about what form their final recommendations might take. She also said it was ultimately up to the federal government to apply any changes they might recommend. "The commissioners have the mandate to collect the truth, to propose recommendations," she said. "But to apply recommendations, it's more up to government, to society." This was the second of nine community hearings scheduled for the year, with the third set to begin in Winnipeg on Oct. 16. Commissioner Buller said she expects to return to B.C. in the new year. A preliminary report is due Nov. 1, and a final report is scheduled for the end of 2018. 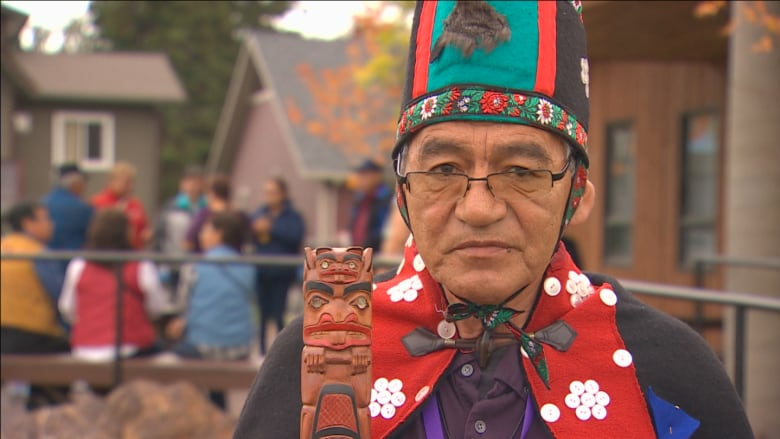 Suicide, substance abuse and grief in focus as MMIWG hearings open in B.C.